When it comes to making sure your pet is safe, healthy, and protected from environmental harm, parasite prevention is often part of the consideration. There are several kinds of parasites found lurking around your home, many of which can be protected against with routine medication. Let’s delve into some of the most common questions related to pet parasite prevention. What Parasites Should My Pet Be Protected From? With such a wide range of potential parasitic threats, most of which are rare, it is only the most common culprits that are inoculated against. There are four primary parasites that every cat and dog should be treated for to prevent a potentially fatal infection. ● Heartworm – Mosquitoes transmit these parasites. They establish and grow in the heart and lungs of your affected pet. This is a potentially fatal condition that must be treated immediately, but better prevented through medication. ● Fleas – Fleas are notorious for causing problems. They can transmit various diseases and infections including tapeworms, ‘cat scratch fever,’ and others. ● Tapeworms – These intestinal parasites are transmitted via ticks and infected food items. ● Ticks – These nefarious Lyme disease transmitters are found in various woody areas. They can cause many problems to your pet’s health. All of the above parasites leach essential nutrients from your pet. These freeloaders are responsible for all kinds of health problems ranging from itchiness and skin problems to organ failure and death. Should I Get My Pet Tested For Parasites? The short answer is yes. If you have not undergone any preventative inoculation for your pet, there is a chance they may be infected with one or more parasites. The problem is that symptoms of an infection often only arise once the issue is already well underway and potentially life-threatening. Testing can help to take care of an already infected pet, and then prevent further infection. Why Do Ticks and Fleas Cause Skin Problems? Dermatitis, an allergic reaction, is triggered by tick and flea bites. This causes red itchy skin that gets progressively worse over time if left untreated. This is largely due to the increased chance of bacterial infections caused by constant scratching and abrasion of the affected area. What Are Symptoms of Heartworms? A persistent (yet mild) cough, decreased appetite, fatigue, decreased desire to play or exercise, and weight loss. Late stages can cause excess abdominal fluid leading to a swollen belly, and heart failure. If your tests come back positive for heartworm infection, don’t fret. With a course of medication, all the adult worms will be eliminated from the heart and lungs. There is a 98% success rate with only one treatment. There is a small chance that a second course is needed. How Long Do Heartworms Live? Mature heartworms can live between five and seven years in dogs, and two to three years in cats. Keep in mind that every new season of mosquitos can potentially increase worm count causing more challenges if left untreated. How Can My Vet Help Prevent Parasites? Your vet has access to various common testing procedures and medications that can detect, treat, and further prevent parasitic infections. 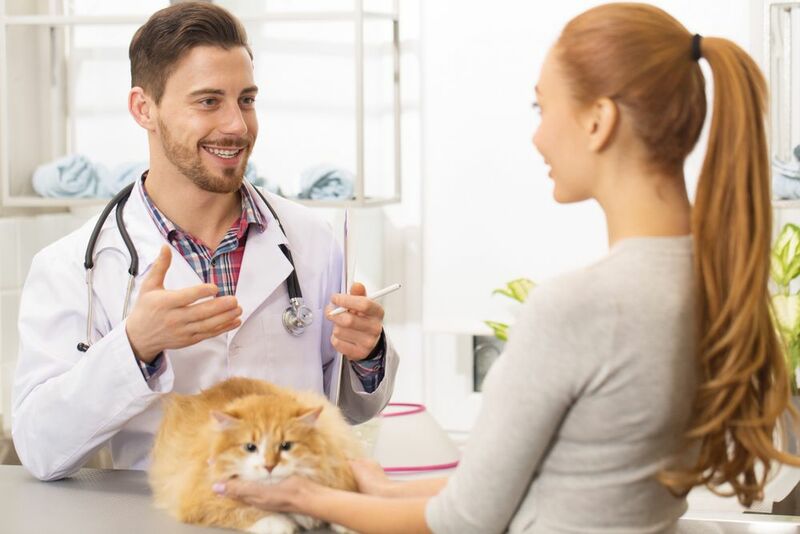 As with all of your pet problems, always seek out the advice of your vet when dealing with sensitive pet-health issues. Many of the over-the-counter solutions do more harm than good and should be avoided. The good news is that most of the challenges related to parasites can be avoided altogether. With a solid pet parasite prevention plan in place, you can help keep your pet happy and healthy season after season. Contact our Ocean Springs, MS office for further information.